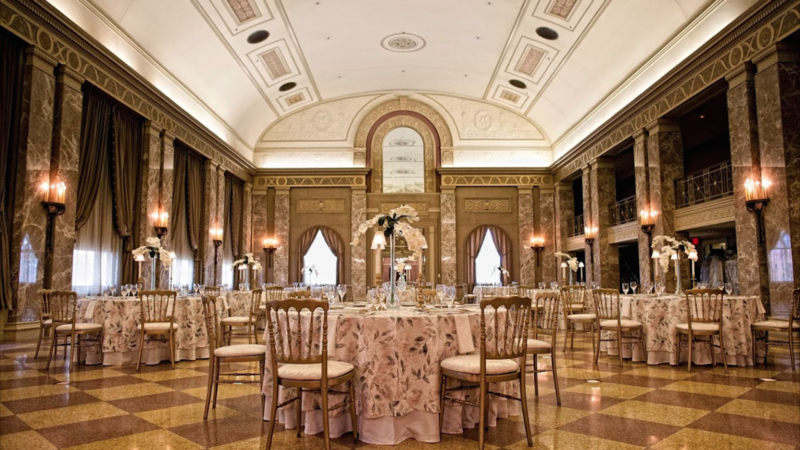 Rent The Coronado Ballroom | Corporate Events | Wedding Locations, Event Spaces and Party Venues. Whether you're celebrating a wedding, anniversary party, rehearsal dinner, birthday , bar/bat mitzvah, fundraising gala, or another special occasion, the Coronado will help you plan an event your guests will long remember. Main Ballroom - Built specifically for a celebration of Charles Lindbergh’s return, this nearly 6,000 square foot ballroom features the original terrazzo floor that houses 45 art deco up-lights. Coupled with state of the art LED lighting washing over the cove above, this remarkable space is perfect for your unforgettable day. South Ballroom - Crystal chandeliers, rich hardwood floors, a color palette of warm whites…the South Ballroom is not only an incredible room, it’s the perfect location for your entertainment & dance floor, your creative food stations, or even your Ceremony! East Lounge - Adjacent to the Grand Lobby, this space has truly transformed into a lively & airy option for Cocktail hour. With the original terrazzo & hand painted ceiling, floor to ceiling windows, a permanent contemporary bar, and wrought iron gates, this is the perfect first (and lasting) impression for your guests! Grand Lobby - This Grand space boasts the original hand painted ceilings & fireplace, new hardwood flooring, eclectic furnishings and a baby grand piano. Bradshaw Room - Just off the South Ballroom, the Bradshaw Room offers the perfect location for additional bar set ups, a photo booth or even an after dinner lounge. Catering - The Coronado Ballroom will supply, prepare, and serve all food for your event. We will be happy to arrange Kosher meals if needed. Wedding cakes from licensed bakeries may be brought into the facility. A/V Equipment - Use of the sound system is included in your facility rental. The system will accept your CD or iPod. Other AV items are available for rental.